Most people who discover cargo bikes do so because of their kids. So it makes sense that there are some models exclusively designed to carry kids. Now having spent some time on three different bikes and seeing several more, I wanted to share the highs and lows of single purpose cargo bikes. Some models like the Zigo Leader and Triobike Mono are exclusive kid carriers. Others like Cyclemaximus and Workman Cycles have made a name for themselves by being all business. For parcel service it is probably better that the business models are singularly focused. As a parent of small children you may want to expand the use of your cargo bike so consider as you start to day dream about traveling your city with kids by bike. Creature comforts for your little creatures are standard. Padded seats, five point harnesses, soft materials, and sun shades. Transformer action. The Zigo converts from a trike to a stroller for shopping and with one add on a true jogging stroller. Not to mention the rear of the unit can be used as a regular bicycle with the included extra wheel. The Taga doesn't separate. 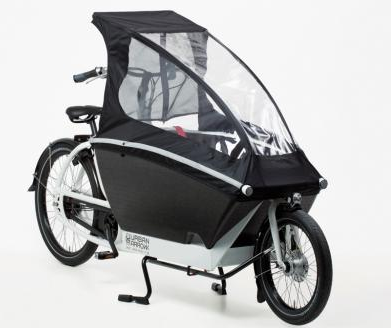 However, the flip and fold action make the bicycle portion disappear leaving you with a three wheeled stroller. Special padding. Designers of the Urban Arrow chose to make the walls of it's child carrying space with the same material found in bicycle helmets. This adds sense of added protection in the case of impact and may be some insulation on colder rides. Limited cargo capacity You can absolutely carry stuff like groceries, beach toys, etc. with any of these models. You can even do some with the kids in the bikes as well. The challenge is large or odd shaped items. Build material Providing foams and synthetic canvas material for children to ride on is a great feature. It makes the ride that much more enjoyable. If you are going to use the bike to move anything with sharp edges or rough surfaces you make ruin your lovely chariot. Durability could become a factor if anything but softer cargo is transported regularly. Life Cycle Children grow up. What are your plans for your human powered kid hauler when they are too big to ride anymore? 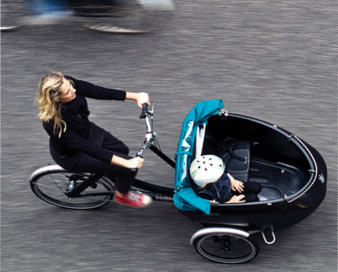 There is an option to convert the Urban Arrow into two different types of cargo bike. I don't know the exact numbers, but I am sure it will a hefty investment. Let me be clear I really enjoyed my time on the Zigo Leader. I think the Triobike and Urban Arrow are great concepts. I can't wait to report back to you are I get the chance to ride them. Hopefully you have read something that helps you consider what you want to use your cargo bike for today and the long haul. How will these pros and cons influence your cargo bike purchase?